omid (mashhad, Iran) on 12 April 2017 in Animal & Insect and Portfolio. Merveilleux reflets et iamge quel rayon et couleur sueprbe. Excellent capture on this red water. Stunning colors, silhouettes and texture captured in this shot!! 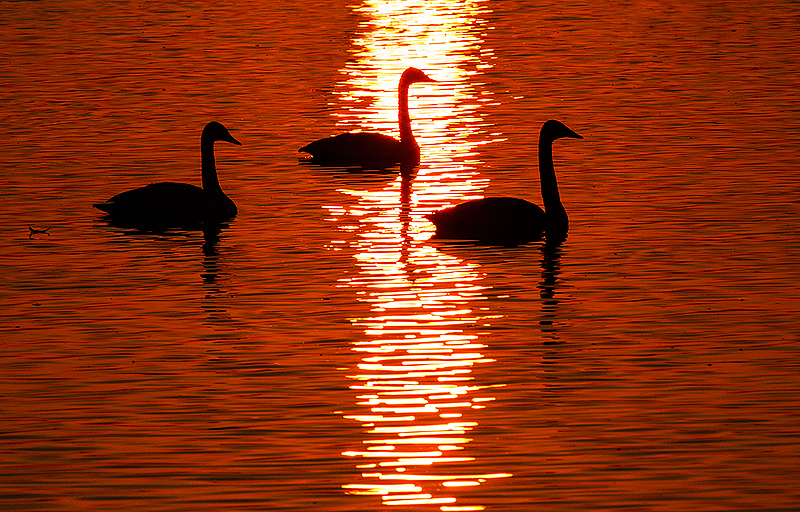 Black swans swimming in the Red Sea ... great ! Love that deep orange glow! Fabulous colours and light! Excellent! This is just exquisite! Beautiful silhouettes and stunning color! so beautiful... this is a wonderful image! For my eyes, this photo is too red. I think this time you overdone the digital treatment.